Instead of a code, you can plug in a stick like YubiKey to prove it's really you. None of us want strangers accessing our accounts online. You might use a password manager, or two-factor authentication via SMS, but there's another way you can stay protected -- physical security keys. 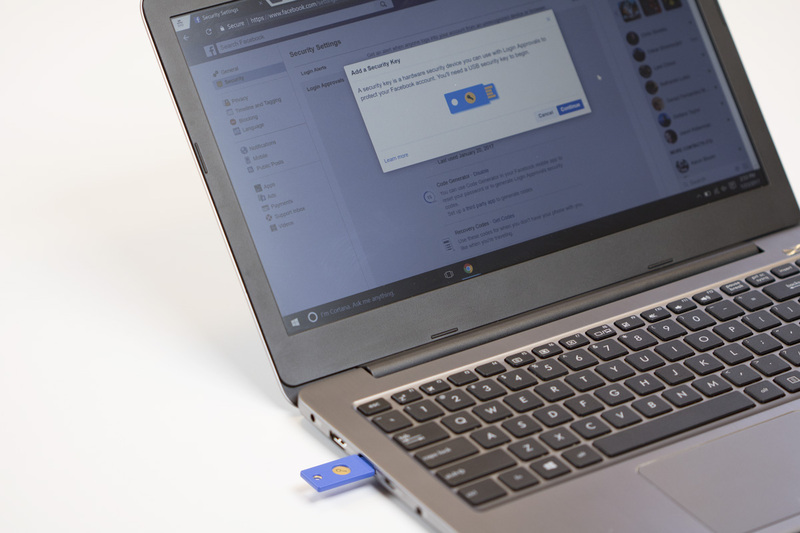 Following Google, Dropbox and others, Facebook has added support for these privacy-centric dongles today. When you log into your account, that means you can choose to prove your identity with a special USB stick (that supports the open Universal 2nd Factor (U2F) standard), rather than a code sent to your phone. Yes, it's another object to keep on your keychain, but in return, you'll be getting a superior level of protection. Physical keys are supposed to be more effective than mobile apps and SMS verification, because there's no chance of phishing or man-in-the-middle attacks. They're also potentially faster -- just a tap on the physical key and you should have access to your Facebook account. It's a welcome move from the company, which is also announcing a redesigned Privacy Basics page today. Neither service is mandatory, but it's good to know they exist for Facebook's more privacy conscious users. Cyberattacks and identity theft are on the rise -- it's never a bad time to strengthen your defences.